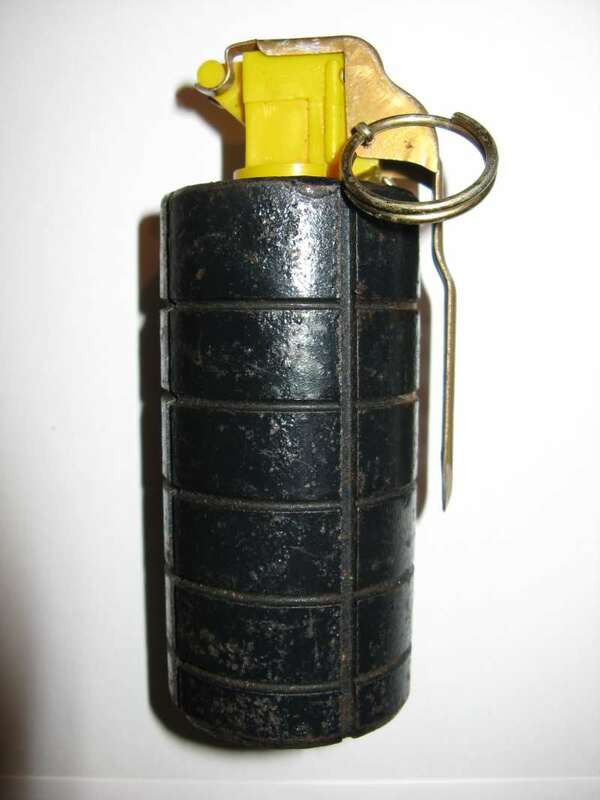 This grenade was made from 1991 by an unknown factory in croatian city of Sisak. 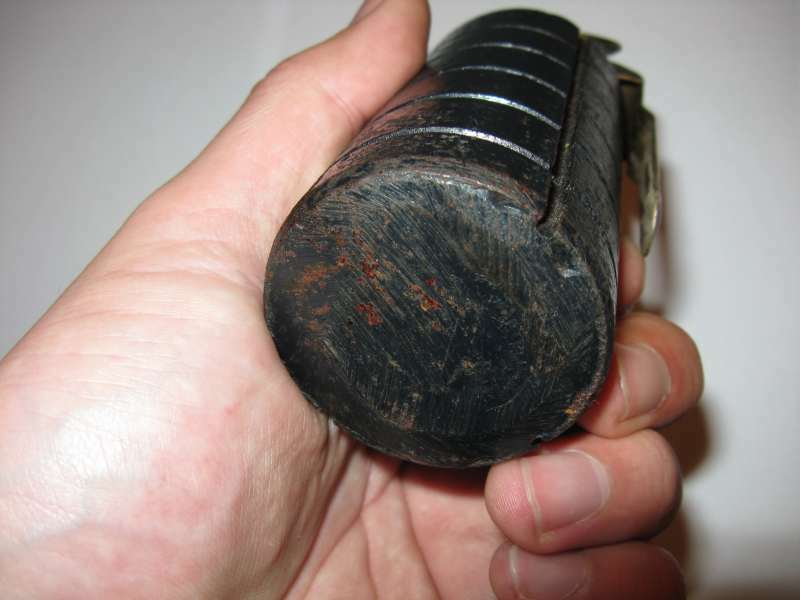 There was no official name for this war-made grenade, so like other war-made grenades here, it is named after the city of origin. 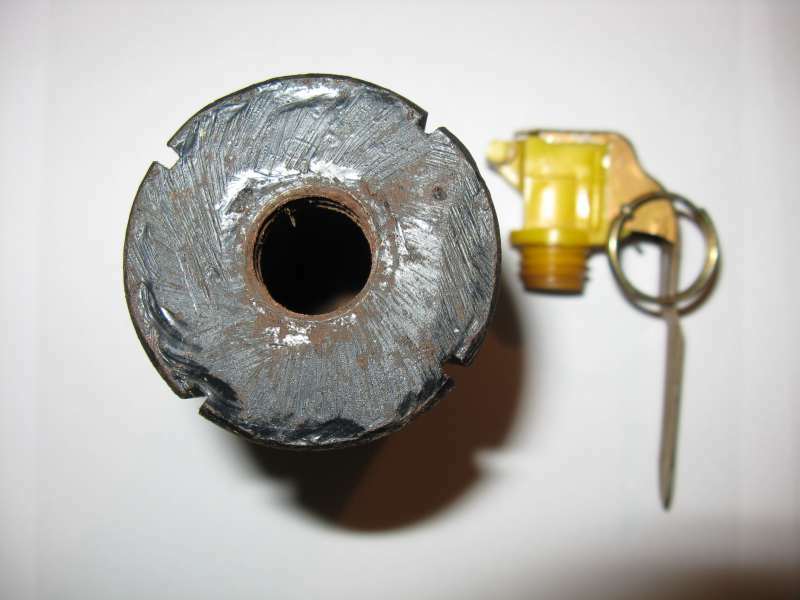 The body of grenade is made using steel pipe processed on a lathe and is fragmented on the outside. 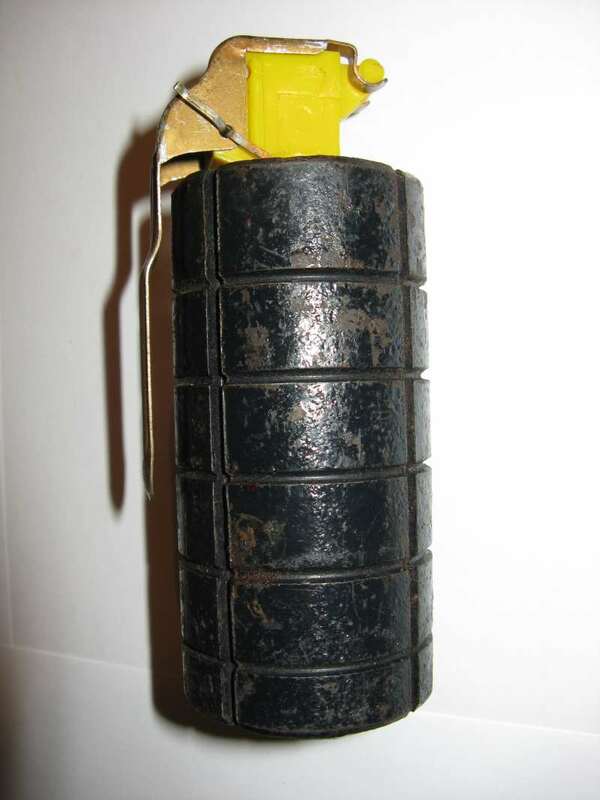 The body is welded shut on its ends with two metal caps. On the upper cap, the thread is made for the fuze. 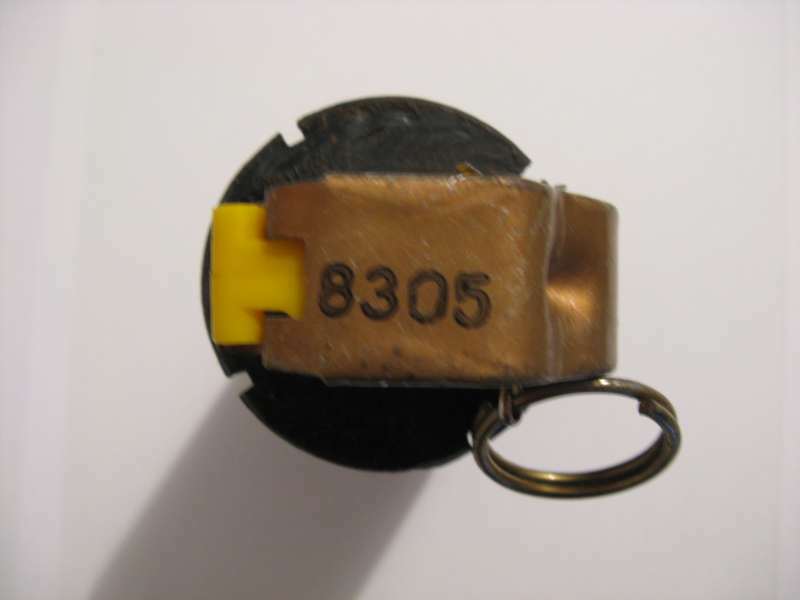 Fuze is made using practice yugoslavian M75 grenade fuze and improvised detonator. 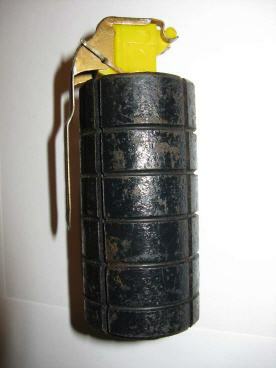 Originally it is painted in black semi-gloss colour. Photos and info © Goran.